Sony Entertainment Television’s The Drama Company never fails to entertain with their comedy and humorous acts. This time it was no less with the star cast of Poster Boys – Shreyad Talpade, Sunny Deol and Bobby Deol. This time our very talented Upasana Singh was seen on The Drama Company. 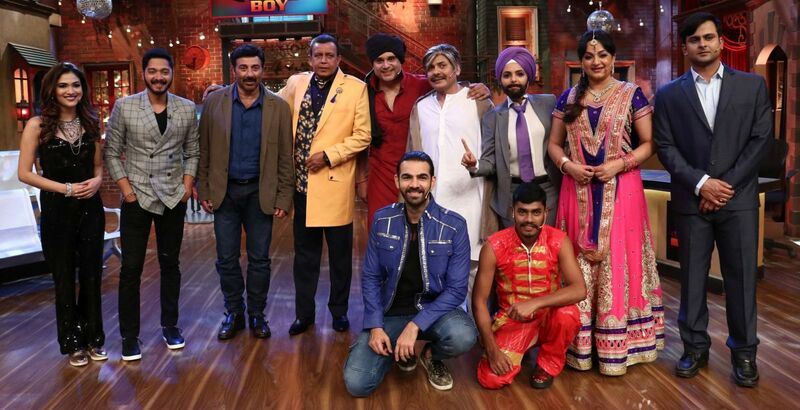 Upasana Singh appeared as a guest performer on Drama Company where it gave new vibe to the acts performed. Upasana Singh who was last seen on The Kapil Sharma Show appeared on The Drama Company as she is very close to the producers of the show Neeti- Preeti. She shares a great bond with them and agreed to appear on the show when she was invited. Upasana Singh will have different characters to play according to the acts. Drama Company started on 16 July 2017 with the guests Tiger Shroff, Nidhhi Agerwal & Nawazuddin Siddiqui. Watch the episodes of Drama Company every Saturday and Sunday, 8.00 pm onwards only on your favorite channel Sony Entertainment Television!